This is “Project Selection”, section 7.1 from the book Beginning Project Management (v. 1.1). For details on it (including licensing), click here. Describe the difference between an organization’s mission, goals, and objectives. Describe how the missions are different depending on the type of organization. Define economic terms used for choosing projects. Define a project champion and his or her role. Describe the influences of funding, timing, and unofficial considerations on project selection. Projects are chosen for a variety of reasons and not all of them are apparent. The project manager must understand why a project was selected over other choices so that he or she can align the team toward justifying the choice that has been made by senior management. The mission of the Philadelphia Police Department is to fight crime and the fear of crime, including terrorism, by working with our partners to enforce the laws, apprehend offenders, prevent crime from occurring, and improve the quality of life for all Philadelphians.Philadelphia Police Department, Philadelphia Police Department: Mission Statement, 2009, http://phillypolice.com/about/mission-statement (accessed July 16, 2009). The missions of organizations can be categorized as profit, not for profit, and government. A business that is created to make a profit for its owners and stock holders must consider the cost of each project and how much profit it is likely to generate. The mission statement of a not-for-profit organization like a charity would emphasize the service it provides. A not-for-profit organization must control its costs so that it does not exceed its funding, and it is always seeking funding and is in competition with other not-for-profit organizations for funding from the same sources. A government agency, like a police department, is similar to a not-for-profit organization, but its sources of funding are usually taxes and fees. Its mission would include its responsibilities to the citizens it represents. Government organizations compete for funding from higher levels of government. Projects are more likely to be funded if the proposal for the project is closely aligned with the mission of the organization. The project manager must be aware of that mission while building a team and aligning it behind the purpose of the project. Senior administrators of the organization decide on how to achieve the mission of the organization by choosing goals. For example, the director of a not-for-profit preschool that provides low-cost education for children of poor, single parents might set a goalAn end toward which effort is directed. of improving its reputation for quality. A goal is an end toward which effort is directed. The director meets with her staff and they consider several ways of achieving that goal. They decide to seek certification by a nationally known group that evaluates the quality of preschool programs. Obtaining this certification is an objectiveAn end toward which effort is directed that has a measurable outcome.. In this text, we distinguish between the terms goals and objectives. An objective must have a measurable outcome. In this example, it is easy to measure whether or not the organization receives the certification, which is the distinguishing characteristic of an objective. The use of these terms is not standardized across the industry or in business, but we will be consistent within this text. 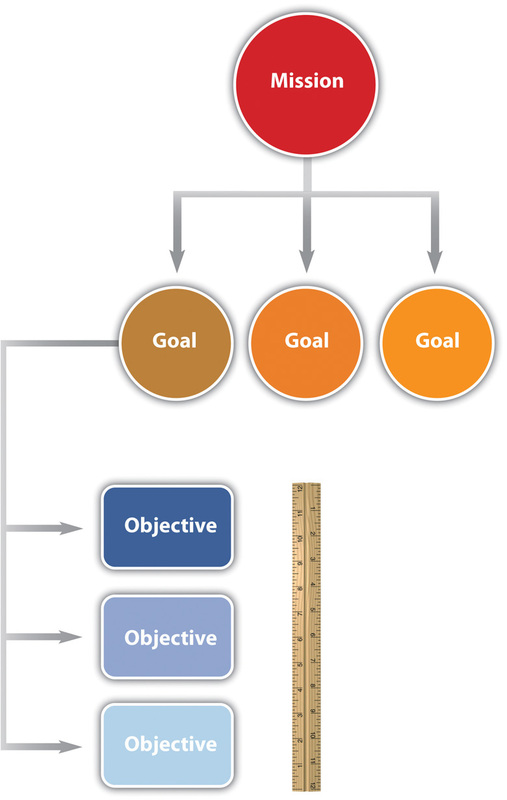 To determine whether a statement is a goal or an objective, simply ask if there is a measurable outcome. Seeking the certification is an objective that can be met by treating it as a project that has a measurable outcome and a limited time frame. Borrow it (government organizations, such as cities and schools, can sell bonds, which is a form of borrowing). Fund the project from existing earnings. Sell additional stock or ownership shares in the company. When senior managers at a for-profit company decide which projects to fund, they must consider these economic issues. To help managers choose between projects, they can use an unsophisticated measurement called simple paybackTime period it takes to recoup the original expense without considering interest payments or other complicating factors.. If the purpose of the project is to improve cash flow—make it more positive or less negative—the improved positive cash flow each year is applied to the original cost (negative cash flow) of the project to determine how many years it would take to pay back the original cost. It is assumed that after that date, the improved cash flow could be used for other purposes or paid out to owners. For example, if the company borrows $100,000 to fund the project and the project increases cash flow by $20,000 a year, the simple payback would be five years, as shown in Figure 7.3 "Simple Payback". 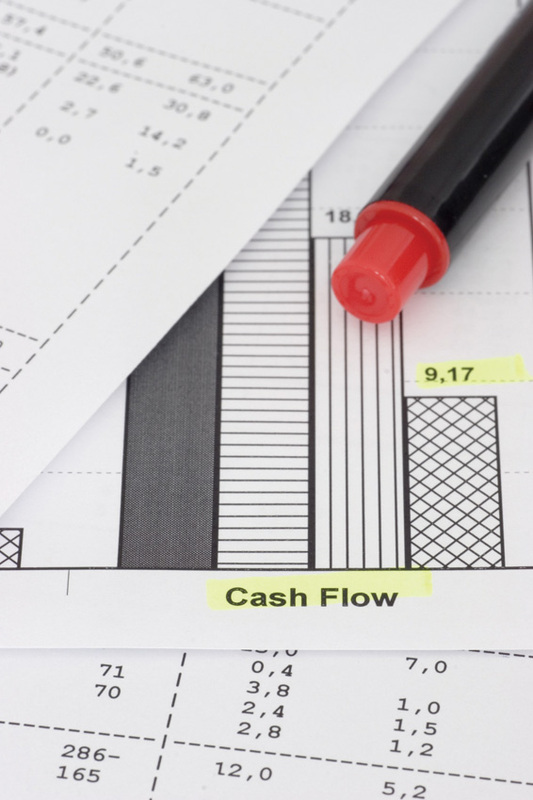 The cash flow from each year is summed up in the cumulative cash flow row. When the cumulative cash flow becomes zero or positive, it means that the original cost has been paid back by the increased income or savings created by the investment. Companies can use simple payback to establish a cutoff for project consideration. For example, management could declare that no projects will be considered that have a payback of more than three years. For projects that meet this criterion, projects with shorter simple payback periods would have an advantage in the selection process. Not-for-profit or government organizations are likely to approve projects with longer simple payback periods because they are not compared to other not-for-profit or government agencies based on their profitability. 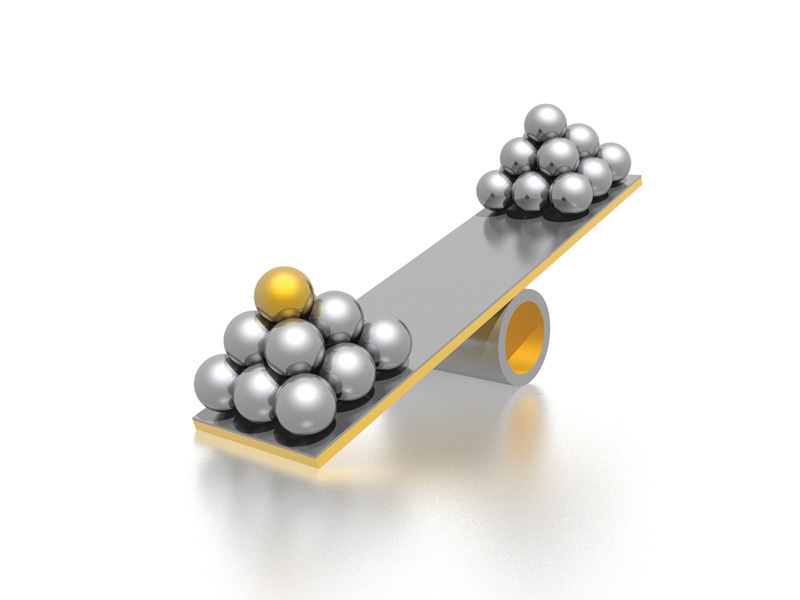 Weighing options requires financial tools. Companies whose mission is to make a profit are usually trying to make more profit than their competitors. Simply paying back the loan is not sufficient. If the project involves buying and installing equipment to make a profit, executives can use another method called internal rate of return (IRR)Average annual return on an investment that earns or saves money.. The IRR is like an internal interest rate that can be used to compare the profitability of competing projects. To calculate an IRR, the company considers the cash flow each year for the expected life of the product of the project. It assumes that some of the annual cash flows will be negative and that they can vary from year to year due to other factors, such as lost production during changeover, periodic maintenance, and sale of used equipment. For example, a company decides to upgrade a manufacturing line with new equipment based on new technology. They know that the initial cash flow—shown in year zero—will be negative due to the expense of the conversion. They know that the new equipment has an expected life of six years before newer technologies make it out of date, at which time they can sell it for a certain salvage value. The inputs to the IRR calculation are the net cash flow for each year where at least one of them is negative and at least one of them is positive. The result is a percentage that indicates how well this project performs as an investment. Refer to Figure 7.5. The internal rate of return measures the profitability of an investment. The life of the equipment is part of the IRR calculation. If a project manager knows that senior management intends to sell the equipment in six years, team members can be made aware of that decision if it affects their choices. If the project manager must make changes to the schedule at some point in the project that could affect its completion date, it is valuable to know if the project was selected because of timing. In addition to knowing why a project was selected, it is valuable to know which senior executives supported or opposed the selection of the project and if the project manager’s supervisor was in favor of it or not. Because most project teams consist of people who do not report to the project manager but who report to other unit managers, they might not be available when you need them if their boss thinks other projects are more important. If a particular executive proposed the project and actively advocated for its approval, that person could be a source of support if the project runs into trouble and needs additional resources. A project championInfluential person who is willing to use his or her influence to help the project succeed., sometimes called an executive sponsor, is an influential person who is willing to use his or her influence to help the project succeed. Project champion can help when a project is in trouble. To identify the advocates and opponents of the project, begin by reading public documents (if available), such as the minutes of the meeting at which the project was approved. Next, the project manager can use his or her unofficial network of trusted colleagues to get their opinions. Those discussions should be informal and off the record. Those opinions might be inaccurate, but it is valuable to know what misunderstandings exist about a project. If executives in an organization are assigned as project sponsors, the project champion might be a different person. When Vought Aircraft won a contract with Boeing to build a significant portion of the fuselage for the new 787 Dreamliner in Charleston, South Carolina, there was no existing workforce with aircraft experience. To give Vought Aircraft an incentive to locate the plant in South Carolina, Governor Mark Sanford, with the support of the legislature, committed to the recruitment and training of the workforce needed for the plant to be successful. The legislature provided several million dollars and assigned the role of developing a trained workforce to the South Carolina Technical College System and Trident Technical College, the local community college in Charleston, South Carolina. Dr. Jim Hudgins, president of South Carolina’s Technical College System, assigned the most experienced project manager to the project and personally accepted the role of project sponsor. Dr. Hudgins and Dr. Thornley, president of Trident Technical College, met with the project leadership at least monthly to review project plans and progress. Each month both Dr. Hudgins and Dr. Thornley assigned resources and removed barriers to project success. Dr. Thornley assigned procurement personnel to the project to assure materials were purchased and delivered in time to support the project schedule. She reallocated space to provide training laboratories for the project and assigned a college leader to the project full-time to coordinate actions with the college. Dr. Hudgins coordinated with the Governor’s office to assure the project received the appropriate level of support. Both Dr. Hudgins and Dr. Thornley had the political power and the resources to assure the project had the autonomy and the resources to succeed. The project met every milestone, exceeded every measurable goal, and received high praise from Vought Management as the plant began operations on schedule. A mission statement declares the purpose of the organization and identifies the primary stakeholders, the products or services offered, and the responsibility toward the stakeholders. Goals are statements of direction for the organization, and objectives are activities that achieve those goals with measurable outcomes. Profit-making organizations exist to make profits for their owners while in competition with other companies. The goals of those companies are directed at making as much or more money than the competition. Not-for-profit organizations are directed at providing a service to a particular group. They must control costs to perform their tasks with the funds they have, and they compete with other not-for-profit organizations for donations and funding. A government agency is similar to a not-for-profit organization, but its sources of funding are usually taxes, fees, and funding from a higher level of government, and it has a responsibility to the citizens it represents. Government organizations must justify their expenditure of tax money to elected or appointed officials. Two economic tools for evaluating and comparing projects are simple payback and internal rate of return. Simple payback is a calculation of the year when the cumulative income or savings due to spending money on a project will meet or exceed the original cost of the project. Internal rate of return is a calculation of the average percentage of increased cash flow over the life of the project’s product. A project champion is an influential person who is willing to use his or her influence to help the project succeed. It is useful to know why the project champion wants the project to succeed and to be sure to accomplish that goal even if it is not stated. Project selection depends on the availability of funds, which depends on the way each type of organization receives money for projects. Funds might be available at certain times and projects are selected that can take advantage of that opportunity. Projects might be initiated for reasons that are not stated, and investigating the source of funding and likely motivation of project champions can provide better understanding of the project’s chances for success. An end toward which effort is directed that has measurable outcomes is an __________ in this text. A general statement of the direction an organization should take is a ______. If a company has to make quarterly loan payments to the bank, this is an example of a negative _______ ______ (two words). If you borrow $1,000 and have to pay back $1,010 a month later, the $10 dollars is the _______. On Google’s Web pages, it says that they want to “organize the world’s information and make it universally accessible and useful.” This is an example of a _______ statement. An influential person who is in favor of a project is one of the project ________. If upgrading the windows in a building costs $100,000 and it reduces heating and cooling costs by $5,000 a year, the investment in the window upgrade has a _____ ______ (two words) of twenty years. The group that determines the need for a project is the ________ organization. What are four parts of a well-written mission statement? What is the primary mission of each of the following types of organizations: profit-making, not-for-profit, and government organizations? What does it mean if the money spent on a project has a simple payback of five years? Why is it important to identify project champions? What is an example of funding for a project that is only available for a short period of time under special circumstances? Choose an example from outside the assigned reading of a mission, goal, and objective that demonstrates the characteristics of each and how they relate to each other. The example can be from a real organization or it can be fictional. Describe the characteristics of a mission, goal, and objective, as defined in this chapter, and how the example demonstrates those characteristics.